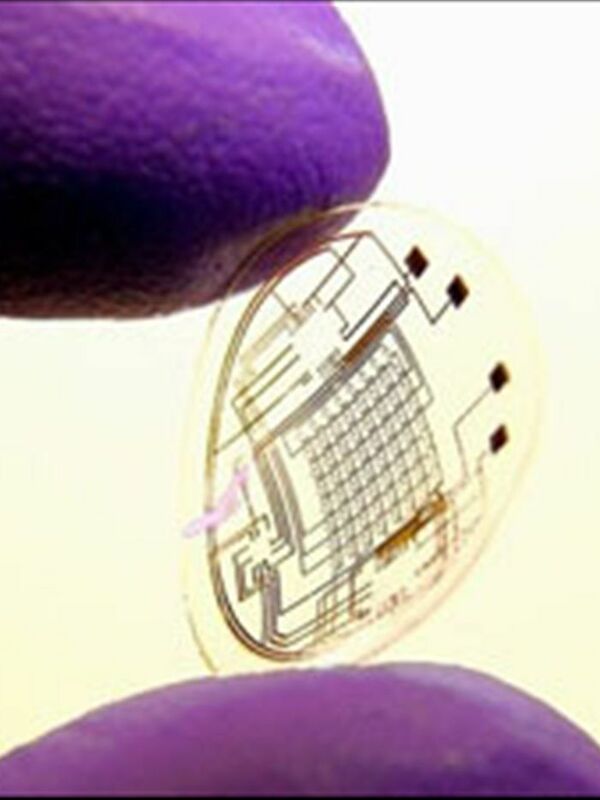 Terminator lenses The latest steps in the development of a computerised contact lens that could be used for navigation, health monitoring or even to sneak access to information, has been unveiled by US researchers. A paper describing the lens appears in the latest issue of the Journal of Micromechanics and Microengineering. “Some day maybe we’ll have full-fledged streaming in your contact lenses,” says co-author Associate Professor Babak Amir Parviz, from electrical engineering at the University of Washington (UW). 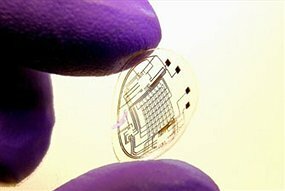 Parviz along with an international team of engineers has constructed a contact lens embedded with a tiny LED that can light up when a wireless signal is sent to it. He collaborated on the device with UW ophthalmologist Tueng Shen and researchers from Aalto University in Finland led by optoelectronics professor Dr Markku Sopanen. Parviz’s group specialises in incorporating miniaturised devices into unconventional materials and has been working on functional contact lenses for a while, he says. The engineers took an extremely small custom-designed LED made with sapphire and embedded it in the centre of a plastic contact lens. They also embedded a circular antenna around the inside lip of the lens. A miniature integrated circuit connects the antenna and the blue LED. Using remote radio frequency transmission, the group was able to control a single pixel.